Silver End, Essex - home of prefab windows! Down a rural Essex country lane is Silver End. The history of Silver End is a fascinating one, beginning in the 1880s when Francis Henry Crittall, the son of an ironmonger in Braintree, began to manufacture metal windows. The company became very successful, and in 1926 Silver End Model Village was established for factory workers at a local component factory. Different architects were employed to create different styles, including the Modernist style. The village was described as the ‘Metal Window Kingdom of Happiness’. Crittall supplied many of the metal framed windows for the prefabs, and the Modernist style can be seen in Uni-Seco prefabs. 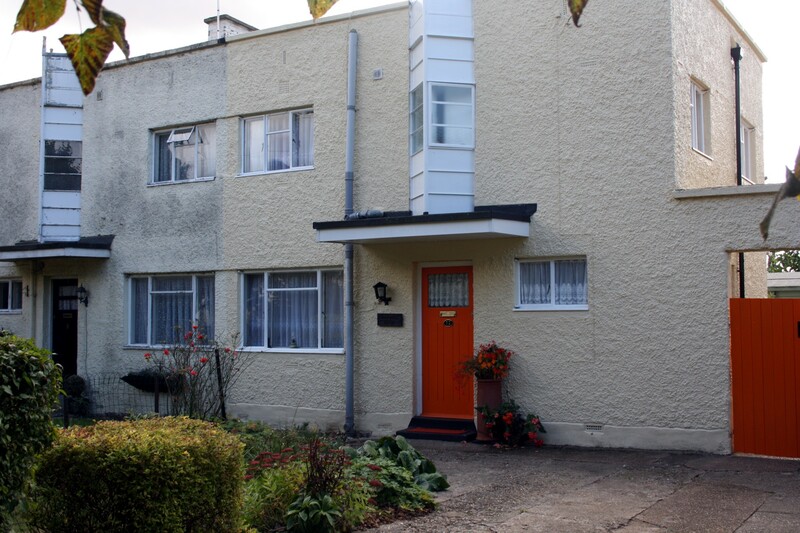 In common with the prefabs, the houses had indoor bathrooms, hot running water and large gardens! While I was photographing the houses in Silver Street, a lady stopped me and asked if I was interested in the houses. I explained my interest in prefabs and the Crittall windows connection. 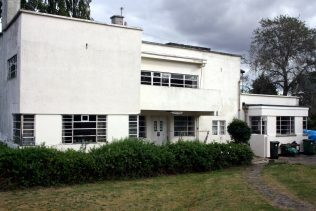 She had lived there since 1937, her father had worked for Crittall, but when she married in 1957 they were not permitted a Crittall house as her husband didn’t work for them. So… they were given a prefab in Silver End, where they spent the next 11 years. 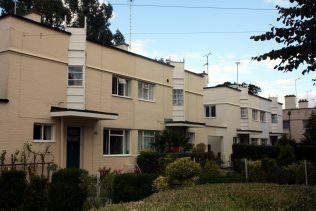 There were several groups of prefabs in Silver End, on Runnacles Road, Broadway and on Francis Way, where Pam and her husband lived. 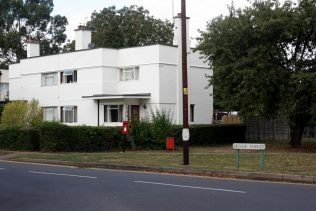 The council purchased the village in the mid-1960s, and Pam and her family moved to their present house on Silver Street. Pam told me one side of Silver Street is listed, and the entire village is a conservation area. Pam said the village had celebrated its 9oth anniversary this year, and everyone had turned out for it. As we bid our goodbyes, I turned the corner into Boar’s Tye Road, and beheld a marvel of Modernist design incorporating Crittall windows – Le Chateau! Margaret we will be at Silver End Heritage Society in October 2017, giving a talk about post-war prefabs. It’s Runnacles Street. I lived at number 9, a prefab, for the first 10 years of my life!